Update his collection of basic essentials with this five pack of boys' footbed socks. 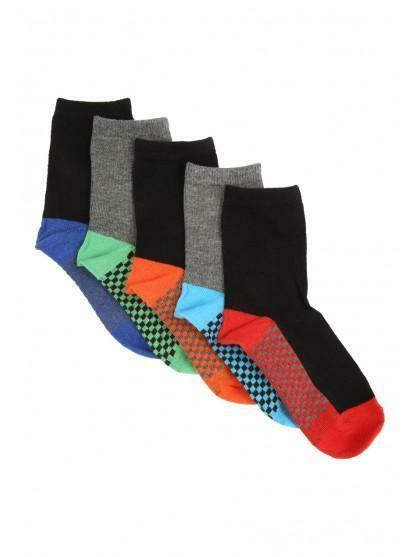 Featuring five pairs of socks, all with check patterns on the soles in an array of colours, this pack is the perfect addition to his basic collection. Nice quality. Little boy wears they grey for school and black for weekends. They don't make him itch which is amazing. Will buy again.